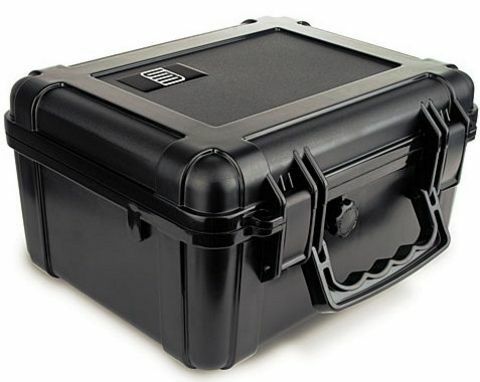 The S3 6500 case is watertight, hard-sided and airtight. Pressure relief valve allows for air pressure equalization. This patented drybox is designed to handle full submersions. Made from high impact ABS. Comes with pick and pluck foam insert. Made in USA. Llifetime guarantee. Case contents are not warranted. Cases should be tested prior to submersion to ensure seals are properly cleaned and latches will securely close. Inside Dimensions 11.93" x 9.02" x 4.05"
Outside Dimensions 12.81" x 10.36" x 4.64"